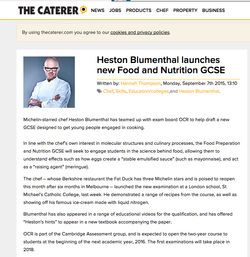 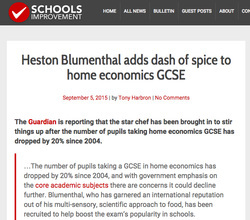 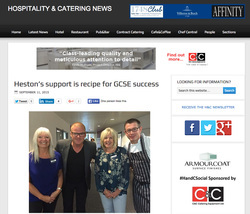 Exam board OCR has gained backing from Heston Blumenthal for its new GCSE in Food Preparation and Nutrition. 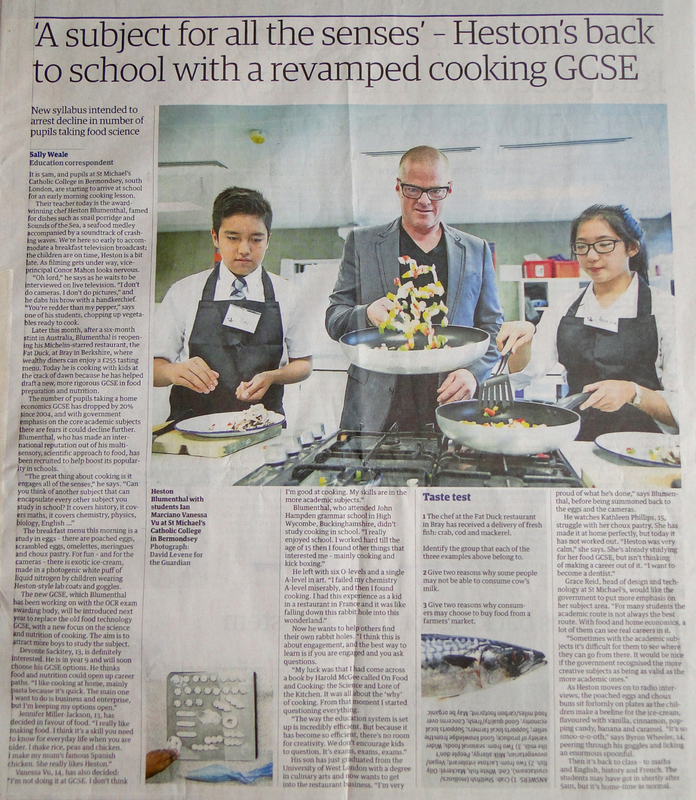 The new draft GCSE will explore the relationship between food as a life skill and a science. 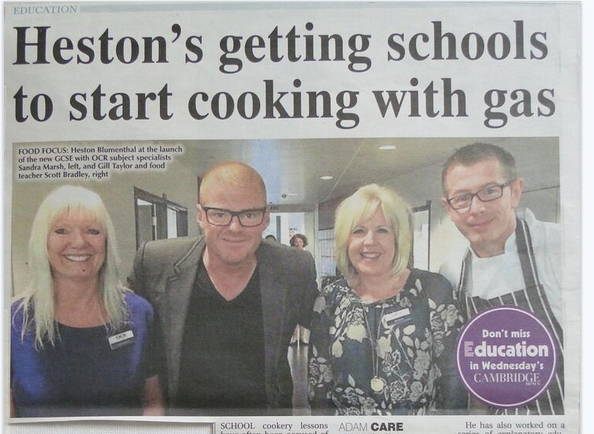 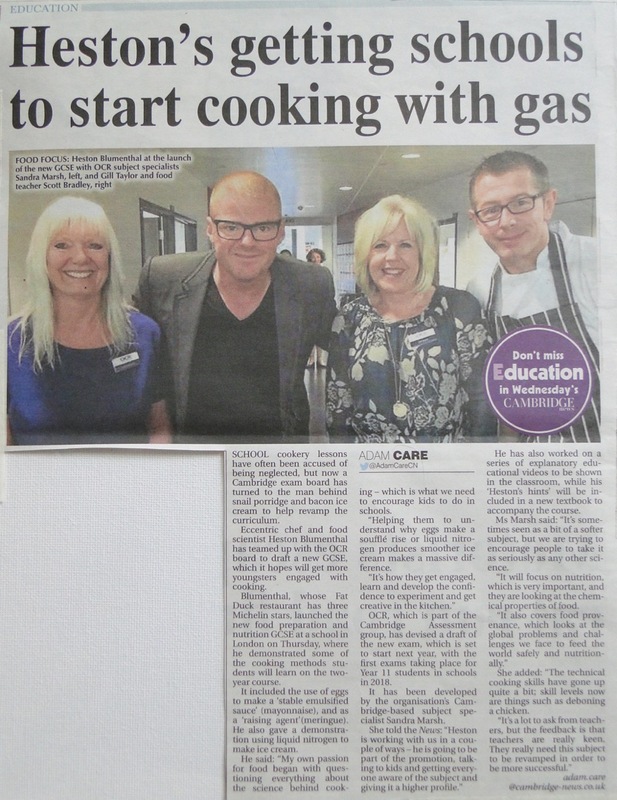 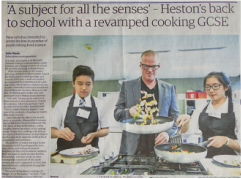 "My own passion for food began with questioning everything about the science behind cooking," said Heston Blumenthal, while doing a demonstration at a London secondary school to show the methods that will be taught in OCR's new GCSE. 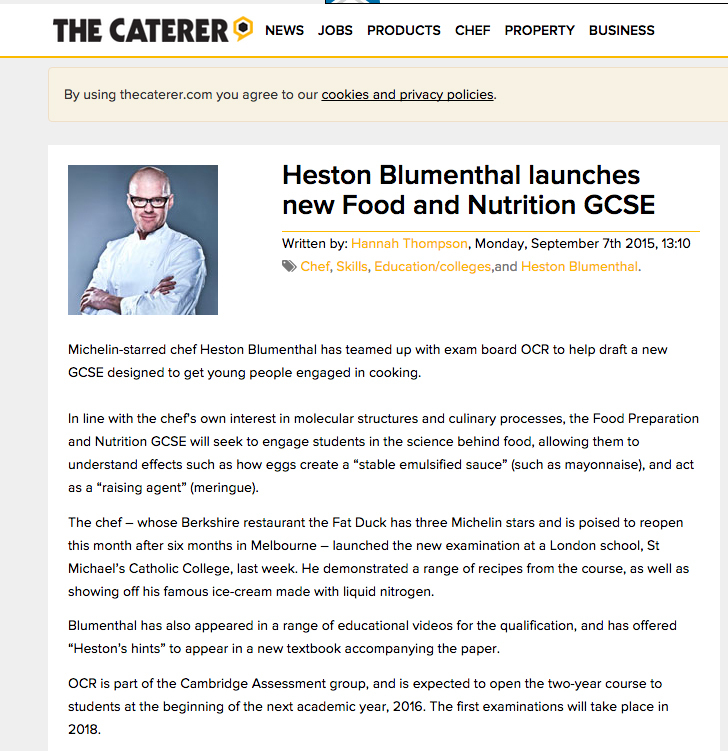 OCR Subject Specialist, Sandra Marsh, said: “Heston's natural curiosity and scientific approach to cooking complement the new GCSE perfectly and will enthuse students as they discover the essentials of food science." 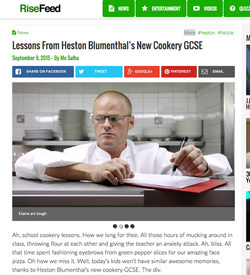 Heston Blumenthal's PR agency secured a long report on BBC TV Breakfast News and a large feature in The Guardian. 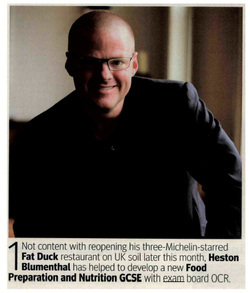 We have included these items here to reflect both the chronology and the good coverage of this story. 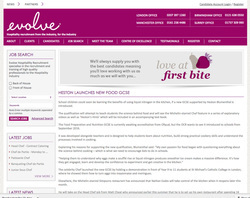 Creative Warehouse secured all subsequent coverage.